Global Center on Cooperative Security » Strengthening Rule of Law-Based Responses to Terrorism and Violent Extremism in South Asia: What Role for Civil Society? Strengthening Rule of Law-Based Responses to Terrorism and Violent Extremism in South Asia: What Role for Civil Society? The workshop, organized by the Global Center, the Institute of South Asian Studies (ISAS), and The Institute for Inclusive Security, with support from the government of Norway, explored the role of civil society in strengthening and supporting rule of law-based responses to terrorism and violent extremism in South Asia. It provided a platform for regional civil society practitioners as well as select experts and officials to exchange experiences, lessons learned, and good practices and explore existing gaps in strengthening rule of law-based responses to address the threat of violent extremism, with a view to enhancing regional security cooperation. Participants recognized the significant role of civil society in enhancing rule of law-based terrorism prevention and countering violent extremism (CVE) efforts, for example, by providing expertise and training, fostering partnerships, and complementing the delivery of services and information to communities. While a number of challenges and limitations faced by civil society organizations (CSOs) working on counterterrorism or CVE issues in South Asia were highlighted, speakers also pointed out the important work done by CSOs in the region, particularly in research and advocacy, in supporting respect for rule of law and human rights, and in promoting counternarratives against violent extremist ideologies. CSOs also continue to play a significant role in facilitating engagement between communities and law enforcement institutions and in enhancing women’s participation in the security sector in South Asia. This workshop is part of a broader project developed to support and inform ongoing projects undertaken by the United Nations, particularly the UN Counter-Terrorism Committee Executive Directorate (CTED). 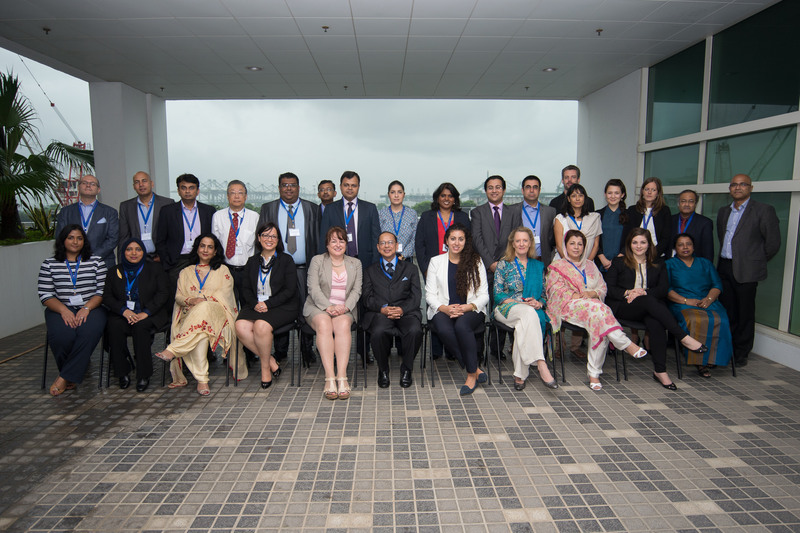 They complement a series of workshops for regional law enforcement officials in South Asia organized by the Global Center and CTED.